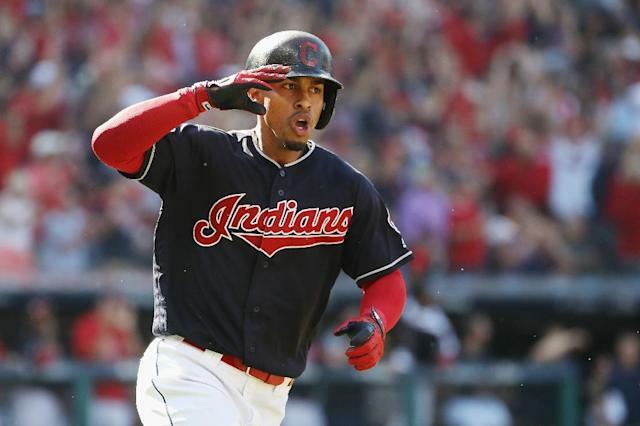 Washington (AFP) - Cleveland Indians starting shortstop Francisco Lindor will be sidelined for the next seven to nine weeks due to a right calf strain, the Major League Baseball club announced Friday. And the setback could set the stage for Taiwan's 23-year-old Chang Yu to make a jump from Cleveland's top development club into the major leagues. Lindor suffered the setback while preparing for this month's start of pre-season training in Orlando, Florida and was evaluated Wednesday by doctors in Cleveland before starting his rehabilitation process. The three-time American League all-Star's projected return timetable could mean he will miss next month's season opener for the Indians on March 28 at Minnesota. Among the prospects expected to see extra time at shortstop for Cleveland in pre-season games is Chang, who batted .256 with 13 home runs and 62 runs batted in over 457 times at bat with Cleveland's top developmental club last year. The Indians have also looked at moving Chang to third baseman given his success and Lindor's dominance at shortstop. Also in the mix could be Max Moroff, primarily a second baseman who played part-time at shortstop for Pittsburgh who was obtained in a November trade, or 32-year-old infielder Ryan Flaherty, who played for Atlanta last season.